I often get emails (Or instagrams!) 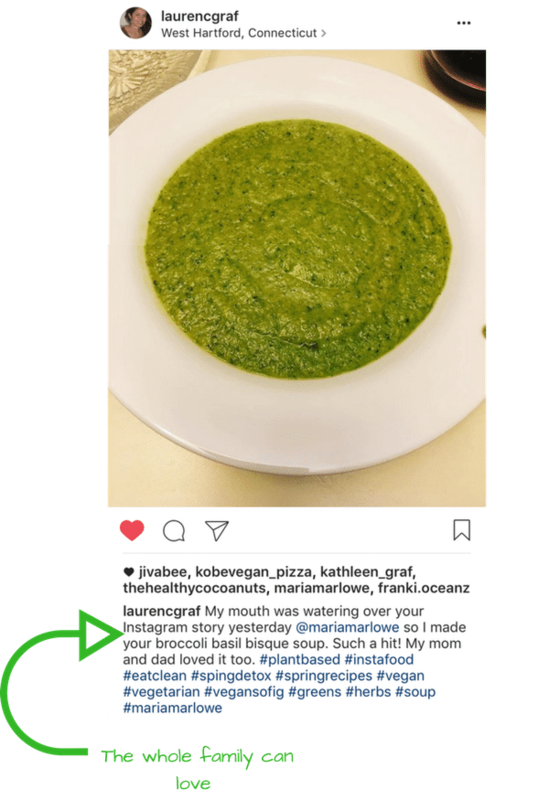 from people who have tried the free 3-day Spring Detox and loved not just the taste…. But, the results, too, such as better regularity, a flatter stomach, and even shedding a few pounds. All the while, never feeling hungry, of course! 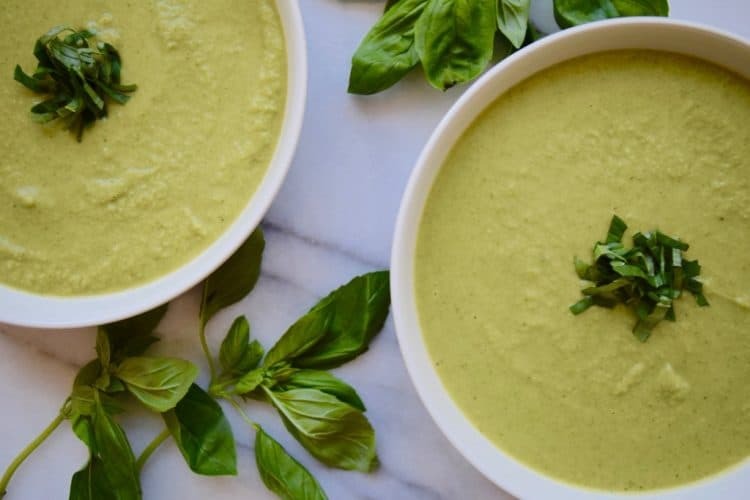 Until now, the Broccoli Basil Bisque Soup has only been available in the 3-Day Spring Detox, but I’m sharing it with you here. Just too good to pass up! If you want the full 3-day meal plan, be sure to sign up for it through that link! Lightly steam* broccoli for about 5 minutes, or until it turns bright green. Meanwhile, in a separate pan, heat the coconut oil over medium low. Add the garlic, ginger, and beans. Saute about 3-4 minutes. Add the steamed broccoli, cook for another minute or two, and then lastly add the fresh basil and stir until completely wilted, which will be 30 seconds to a minute. Remove from heat. Next, transfer broccoli bean mixture to a Vitamix or high speed blender. Add the vegetable broth. Process on high for about a minute, until a creamy and uniform consistency is formed. 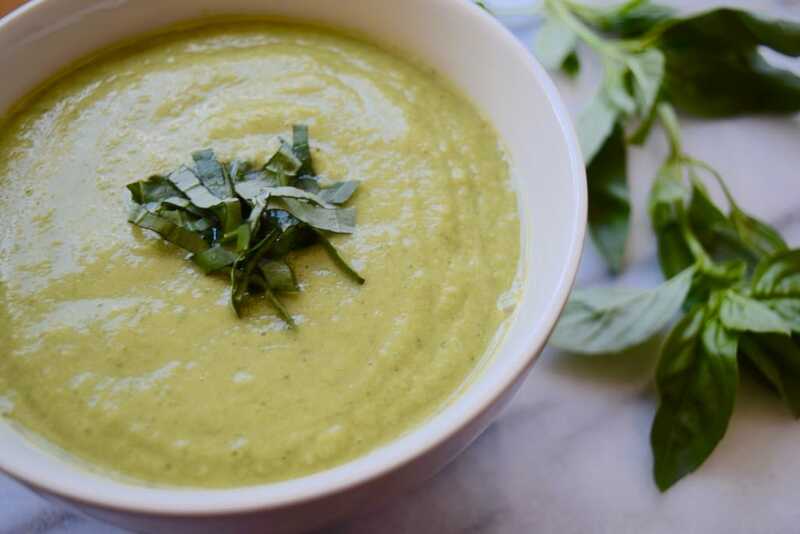 Pour into bowls and serve immediately (it will still be warm, so no need to reheat).